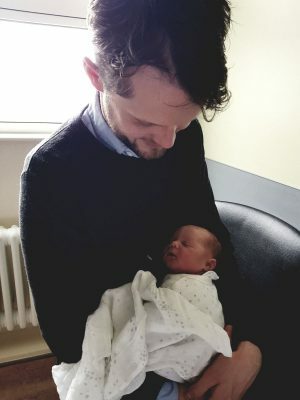 I just wanted to let you know that our beautiful, 8lb 8oz, baby boy Robin was born on Sunday evening. I went into labour Saturday evening after Saturday’s class! I was 40+2 at that stage. active birth work shop gave me. I used Rachel’s advice of acupuncture to get things going and think it helped too. I managed to stay at home and active until 6am Sunday and was 5cm when I got to the hospital I really am glad I was able to stay a home for so long. It made all the difference. 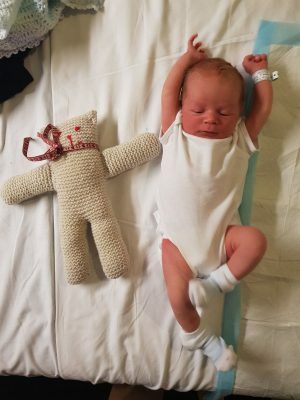 Ed was delighted he came to the active birth workshop with me and it gave him so much more confidence and he was an absolute superstar and a brilliant support. He said he’ll try write something for you on his experience of the work shop. Thanks again and hopefully see you for some postnatal goodness!